The Burson Conductor and Conductor SL are equipped with the Tenor 8802 USB receiver. 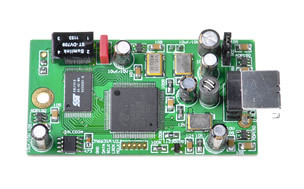 The CM6631A USB receiver module found on the Conductor Virtuoso is an optional upgrade. 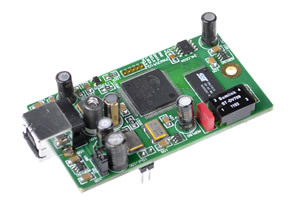 The CM6631A receiver module accepts a more diverse range of sample rates. It also pairs better with specialized playback software such as JPLAY. The CM6631A receiver competes with any external USB-to-coaxial convertor in the industry. Before placing your order for the CM6631 USB module please read this (http://issuu.com/bursonaudio/docs/cm6631_usb_connection) to identify the correct connection type for your order and let us know via Paypal. Provide your contact phone number and email address on Paypal as well so we can update you with shipping status and contact you if there are any problems. Your order will be sent via International Air Mail unless otherwise advised with 7-10 days transit time to most major cities.